Until then let’s have a look at the seven overclockers we can look forward to seeing next week. 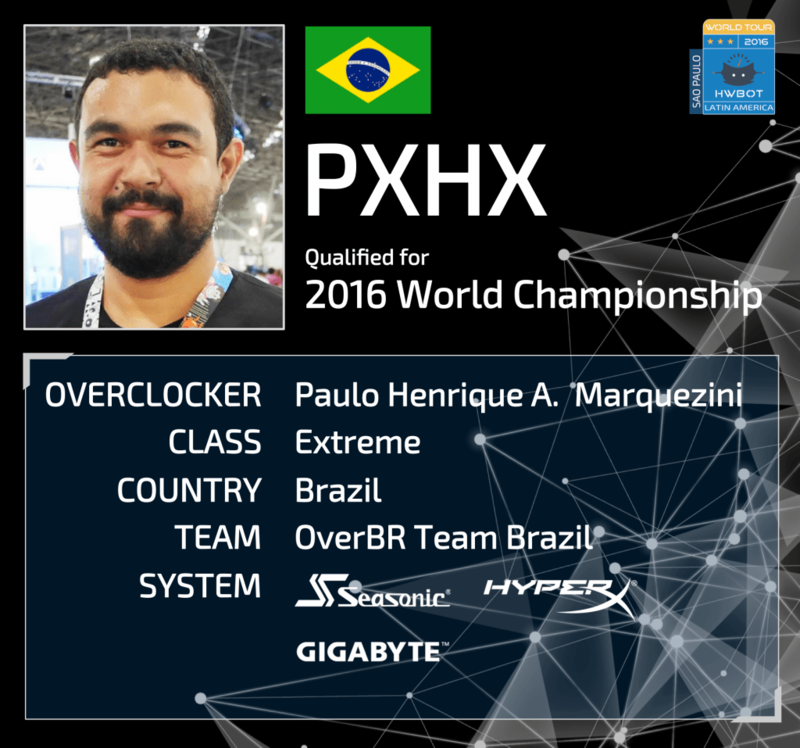 pxhx (Brazil): Brazil’s No.4 Overclocker pxhx Pxhx was the first to qualify for the Championship Finals. 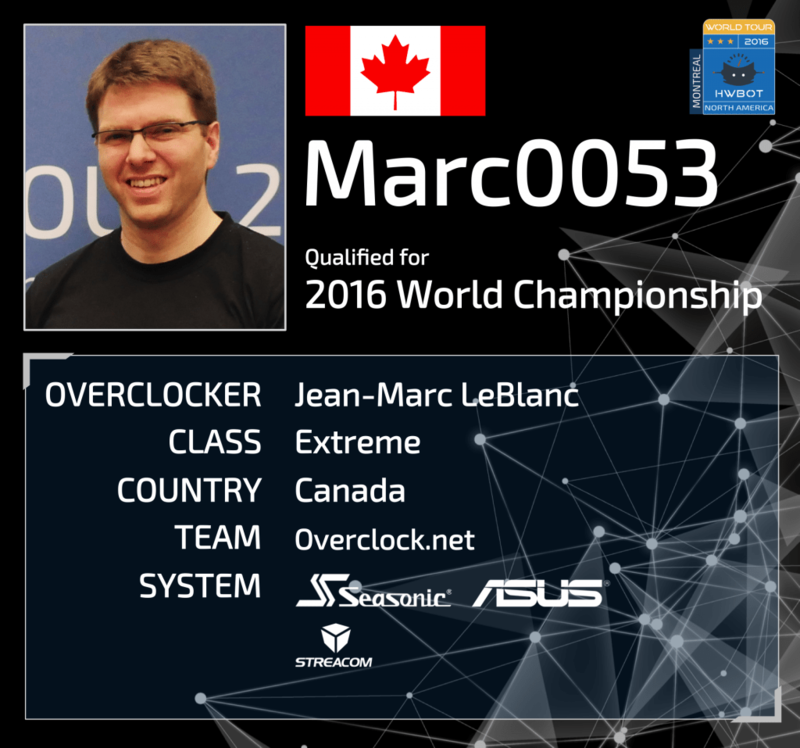 He made qualification at the Latin American leg of the HWBOT World Tour 2016. The event was held at the Campus Party in Sao Paulo Brazil in February 2016, the first of its kind in the country. 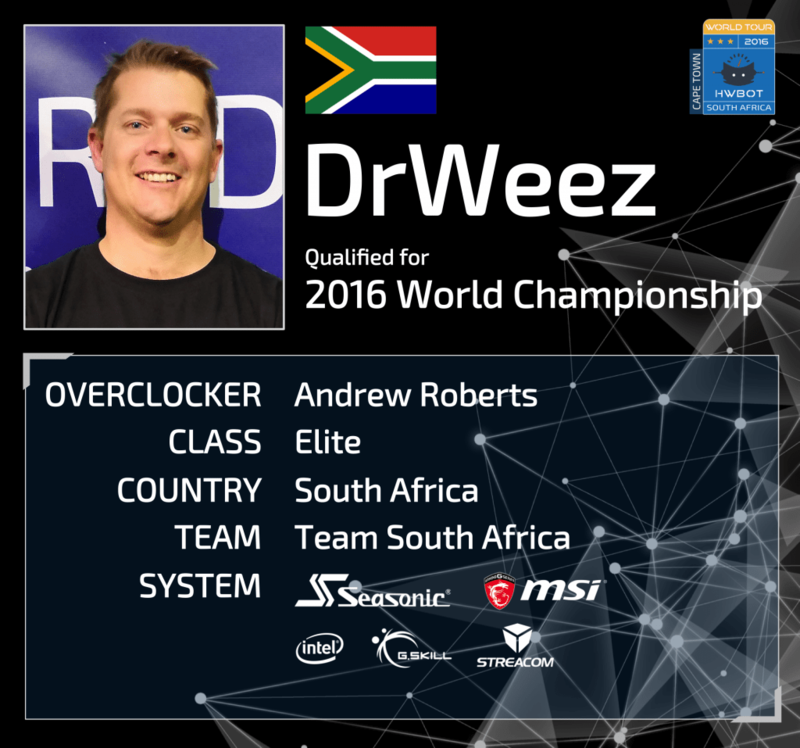 DrWeez (South Africa): DrWeez is the current number one in South Africa, earning his place in the World Championship Finals by winning the South African leg of the World Tour at rAge Expo in Cape Town back in March 2016. He managed to fend of Vivi, South Africa’s No.2 to clinch a place in Berlin. 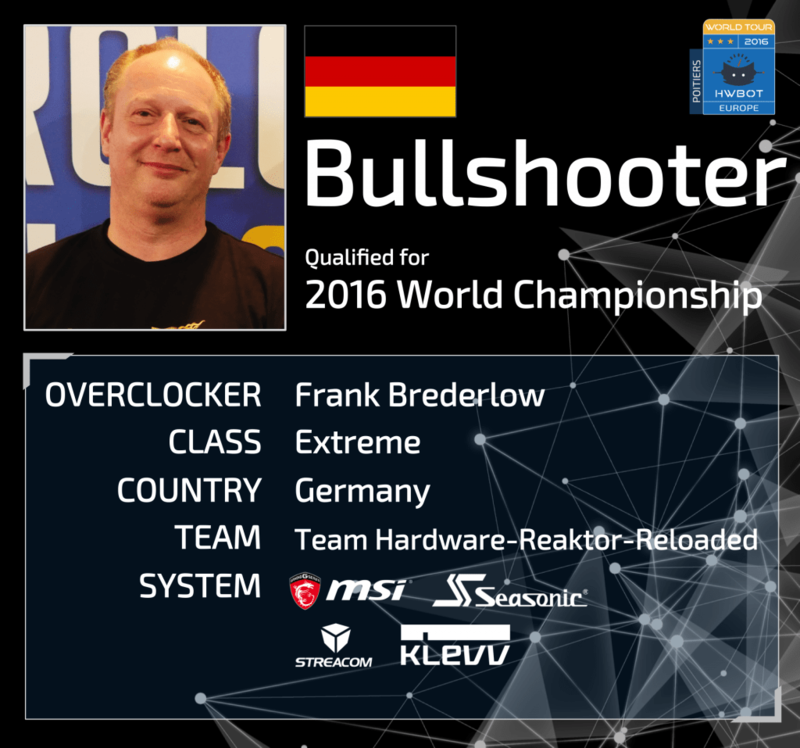 Bullshooter (Germany): Germany’s Bullshooter secured his place in the Finals by beating compatriot Dancop in the final head to head stage – no mean feat indeed. The European leg of the World Tour took place at Gamers Assembly in Poitiers France and proved to be one of the highlights of the tour in terms of local engagement. Marc0053 (Canada): Marc0053 managed beat some stiff competition in the North American leg of the HWBOT World Tour 2016. It was held at the LanETS gaming event in Montreal Canada in April 2016. The final 1v1 session saw Marc go up against the legendary Rasparthe, but in literally the last minute of the contest Marc managed to come up with a winning Cinebench R11.5 score to clinch the win. 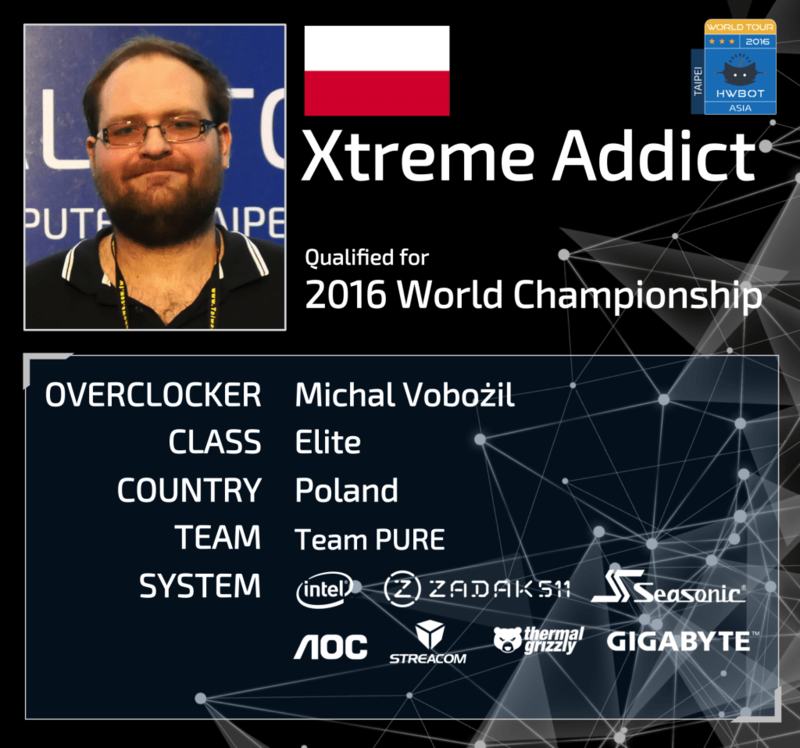 Xtreme Addict (Poland): Polish No.1 Xtreme Addict made his way to Computex 2016 in Taipei where he managed to win the Asia leg of the World Tour 2016 back in June. A scintillating final bout between XA and Indonesia’s Hazzan is probably established as one of the moment of the tour. Xtreme Addict will be a tough competitor in Berlin, that’s for sure. 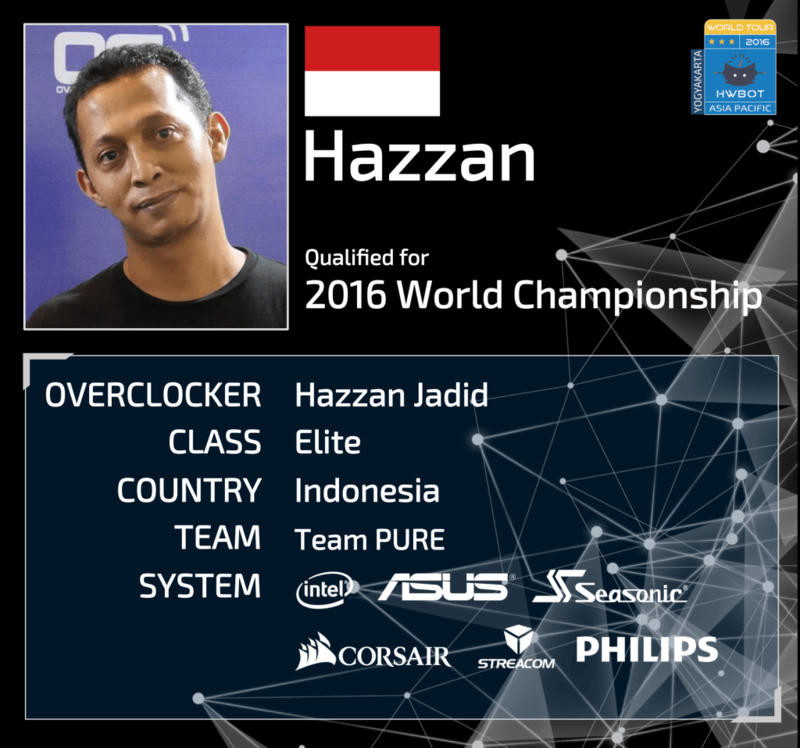 Hazzan (Indonesia): After narrowly missing out on a World Championship Finals berth at Computex a few months earlier, Hazzan was in a very determined mood when the HWBOT World Tour rolled into his back yard a few months later. Hazzan came out on top after a dominant display at the Asia Pacific leg of the World Tour in Yogyakarta Indonesia. 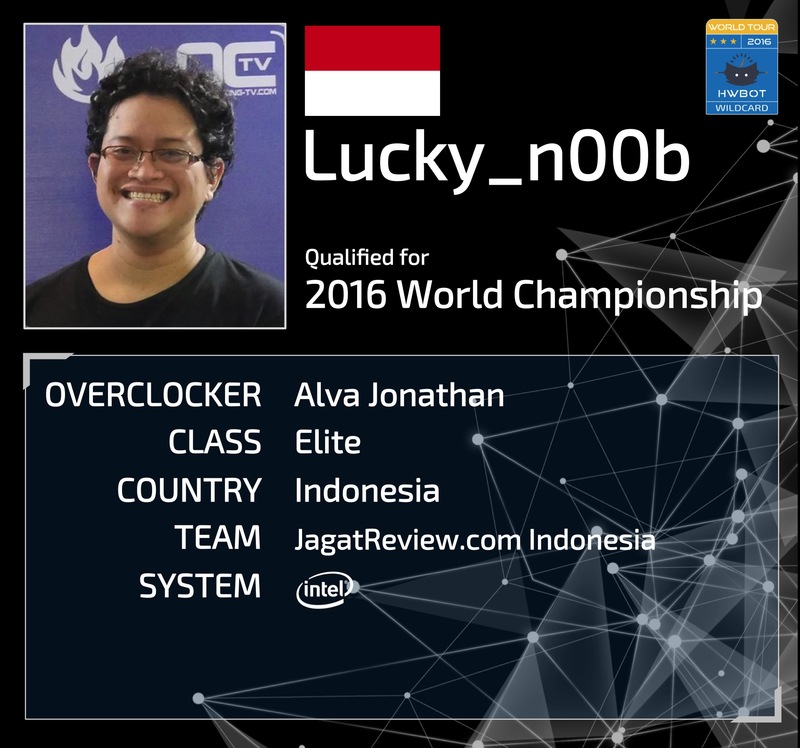 Lucky_n00b (Indonesia): The seventh place in the Final was awarded to the winner of the World Championship Wild Card Contest. A contest that attracted many of the world’s most competitive extreme overclockers. Dispite being at the top of the table throughout most of the contest, Dancop was eventually outdone, after a very tense last few hours, by Indonesian legend Lucky_n00b.